Ibogaine For Addiction: Does it Really Work? It’s now common knowledge that America is in the throes of a major heroin epidemic. 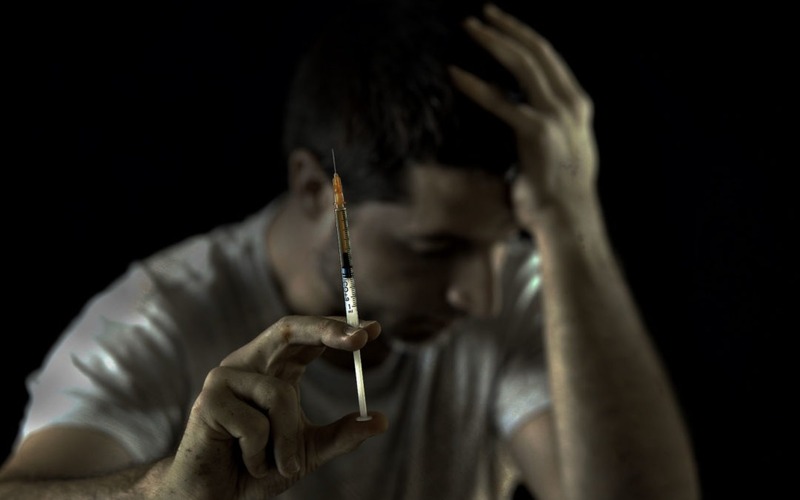 Many new heroin addicts have been created in recent years. Even huge numbers of addicts who once chose prescription painkillers as their drug of choice have switched to heroin, as laws made abusing those pain medications far more expensive and difficult. Because heroin is so incredibly addictive and now sees such a high rate of abuse in the US and worldwide, numerous scientists and other addiction experts have been searching for new, more effective techniques for treating—and beating—addiction to opiates and other drugs. Ibogaine treatment for addiction has shown some of the most promising results among the many experimental and unconventional treatments that have been studied. An all-natural, psychedelic substance, ibogaine is derived from certain species of trees and shrubs that are found in African rainforests. The iboga plant, the source of ibogaine, has been used for medicinal and ritual purposes by African tribes for centuries. Belgian and French explorers in Africa were the first Westerners to record the effects of iboga, and they did so in the 1800s. However, the plant and its derivative, ibogaine, were not closely studied by researchers until the mid-twentieth century. At that point, large pharmaceutical companies already had a stranglehold on the painkiller market, and the “addiction recovery” market was in its infancy. Ibogaine was banned from most markets soon thereafter, allegedly because users were at risk of physical dependence on it, although this claim has never been supported by any medical research; on the obverse, ibogaine greatly reduces or completely eliminates dependence to a large spectrum of both legal and illegal molecules. In the 1960s-80s, researchers worked with ibogaine and attempted to initiate clinical trials to observe the direct effects of consuming ibogaine. They discovered that rats who were addicted to and chemically dependent on heroin or cocaine exhibited a significant drop in self-administration of their drug of choice after they were treated with ibogaine. In other words, ibogaine diminished the effects of withdrawal symptoms in rats. However, in the 1980s the War on Drugs escalated, and the funding for this kind of research dried up. Therefore, although there was this evidence from the animal models that ibogaine could treat narcotic addiction, further research into this issue was not funded by the United States National Institute on Drug Abuse (NIDA) until 1990. For the next five years, NIDA continued to produce promising results from this line of research. However, in 1995 they discontinued the work. In 2000, new testing on human subjects addicted to heroin confirmed most of the previous work, including that ibogaine effectively treats opioid addiction and withdrawal. In fact, subsequent studies found that ibogaine can successfully treat addictions to alcohol, cocaine, methamphetamine, methadone, steroids, and other drugs as well as heroin. Ibogaine to treat withdrawals from these substances is just as effective, stopping symptoms in their tracks. Ibogaine treatment is a form of interruption therapy. Treatment with ibogaine induces visions which are dream-like even though the patient is awake. During these visions, patients are able to re-experience key life events in instructive ways, and see how they contributed to their addiction. They can also confront negative emotions including the fears that fuel the addiction pattern. Ibogaine treatment can provide patients with a significant perspective shift. For all of these reasons, ibogaine treatment is most effective when it is supported by a strong plan for re-entering life, including counseling, therapy, and aftercare. The best ibogaine treatment centers all supply not just the treatment itself, but also intensive therapy and assistance followed by thorough aftercare planning. Research, including our own here at Clear Sky Recovery, does prove that ibogaine has a totally unique way of resetting or “interrupting” dopamine uptake pathways. These pathways are located in the brain’s pleasure and reward centers, which is why they are so connected with addiction. This ability to reset these crucial pathways is a singularly impressive achievement, something no other drug, treatment, or substance has ever been shown to do. Although ibogaine has a proven track record of success in the treatment of addiction, it remains a psychedelic substance with certain side effects and dissociative properties. It is also seen as part of a “drug culture” that is vilified in the US, and runs counter to powerful monetary interests of Big Pharma companies. For these reasons, the efficacy of the ibogaine treatment are still not as well known as they otherwise might be, and the mechanism of action by which ibogaine works is still not understood despite decades of research and 100s of monographs published in peer-reviewed medical journals demonstrating ibogaine’s putative ability to interrupt drug dependence and polysubstance abuse disorders. It is possible that a tragic irony of our current opioid addiction epidemic may be one silver lining: a level of desperation that allows us to seek alternative treatments with enough of an open mind to give ibogaine treatment for addiction the credit it deserves. Only time will tell, but the facts are clear: ibogaine for addiction really works.